WITH OVER 180 PREMIERES IN ITS ARCHIVE AND A STRING OF AWARDS, THE THEATRE CONTINUES TO CEMENT ITS PLACE AS A CENTRE OF EXCELLENCE FOR NEW WRITING AND SUPPORT FOR PLAYWRIGHTS. 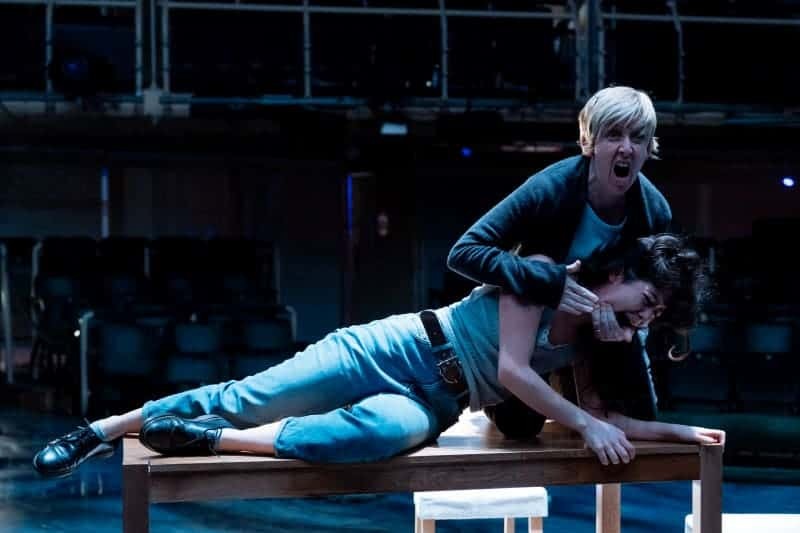 The Royal Exchange Theatre has a rich history of supporting, developing and producing new work by playwrights at various stages of their journey as artists. As we have moved into a new era for the theatre, we are creating an increasingly ambitious and diverse programme of new work. We endeavour to support artistic risk and are dedicated to reimagining the relationship a producing theatre has with its audiences and artists. Our aim is to develop and produce the best new plays and work for our stages from exciting and diverse voices. We commission a range of projects from some of the UK’s most exceptional artists, creating ambitious new work as well as vibrant new adaptations and translations of classics through which we strive to re-envisage our relationship to that work. New writing produced at the Royal Exchange Theatre is being seen by more people than ever before outside of the theatre. The B!RTH Project commissioned female playwrights from USA, Kenya, India, China, UK, Brazil and Syria to explore global health inequalities through the lens of childbirth in their nation. In addition to being featured at the Women of the World Festival at the South Bank, the work has gone on to be performed in 15 countries across the globe and was presented at the World Health Organisation in Geneva in November 2017. Our team of Associate Artists enable us to interrogate what we create on our stages and how we create it. Acclaimed theatre-makers such as Chris Goode, Chris Thorpe and RashDash feed in to the artistic conversations at the heart of the organisation as well as giving our audiences and communities and unique insight into their working practice. We continue to work with some of the country’s most respected playwrights including Simon Stephens, Rona Munro, Bryony Lavery, Charlene James and April de Angelis as well as continuing a relationship with alumni of the Bruntwood Prize for Playwriting through developing new projects with past winners including Anna Jordan and Alistair McDowall. Our partnerships with a range of organisations such as Graeae and Yellow Earth Theatre Company enables us to forge new relationships and bring new voices into the theatre. Royal Exchange Theatre is rare in our commitment to producing work by writers at different stages of their career. It is vital that writers are given the opportunity to benefit from a range of experiences and empowered to define what they feel would be most beneficial to their development as an artist. • Script Submission Windows are opportunities for playwrights to submit a script for feedback and to mark the start of a longer conversation and journey for both of us. • Writing Resources for playwrights packed with online inspirations including things to consider when writing a play, tutorials and tips from experienced playwrights. • Writers can also join the Open Exchange network to access workshops or opportunities to collaborate with other artists, directors and theatre-makers. • Bespoke opportunities including Come Closer for playwrights to pen monologues as pop-up encounters and Young Writers training for anyone aged 16 – 25 who is interested in writing plays, reading scripts and sharing their work.